Tallinn is the capital and largest city of Estonia. Its Old Town is one of the best preserved medieval cities in Europe and is listed as a UNESCO World Heritage Site. I love hanging out in Old Town. 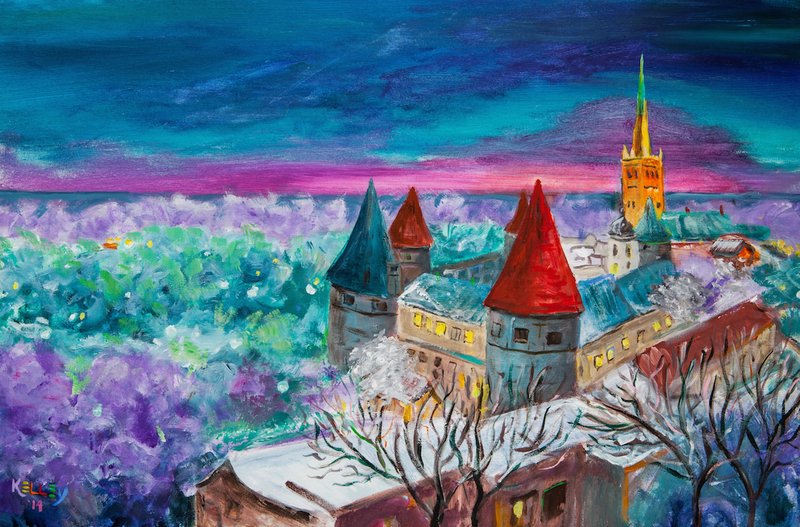 My painting is a tribute to the unique beauty of Old Tallinn. My idea was to focus on the colors of turquoise and rose in the winter. Details:Acrylic on Stretched canvas. 60 x 80 cm; 24 x 32 inches.Price:Sold. In a private collection Tartu, Estonia.